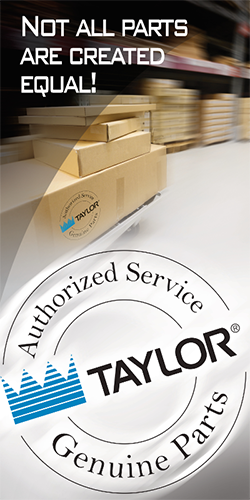 Revolutionary service speed & technology in a smaller footprint. Experience the Revolution. Blend faster, smarter and better. 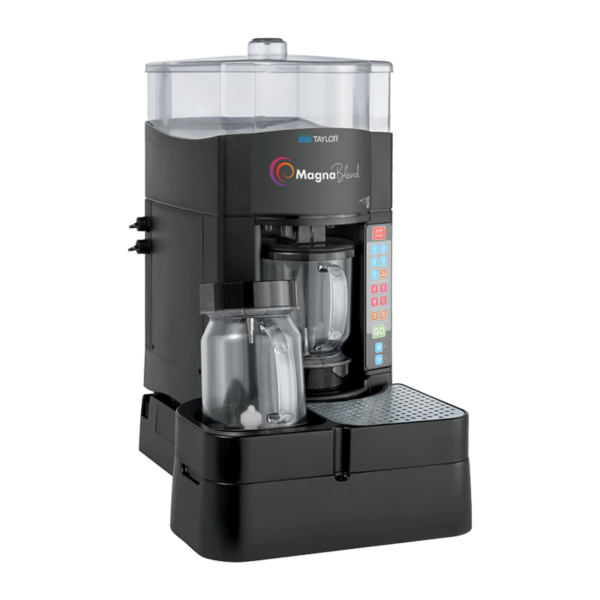 Designed to increase speed of service in every way, a stunning 9-second blend time helps to consistently deliver delicious blended frozen beverages throughout all dayparts. 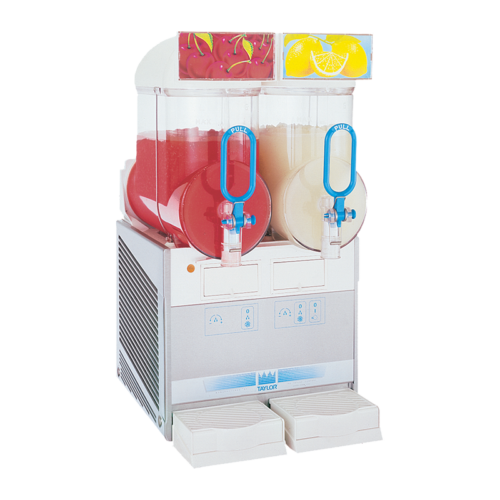 The integrated shaved ice dispenser and rinse station remove the need for employees to move back and forth between separate prep areas. Simply blend, rinse and repeat. 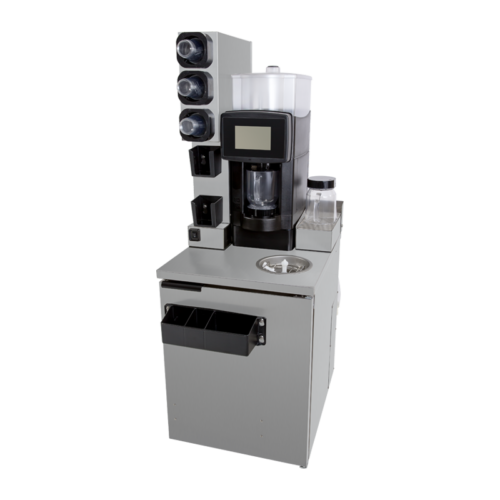 User-friendly keypad allows for 5 beverage profiles (6 beverage profiles on international offerings) using 4 sizes and up to 2 – 16 oz. (473 ml) drinks per blending cycle. BPA-free. Blends up to 2 – 16 oz. (473 ml) drinks at once. 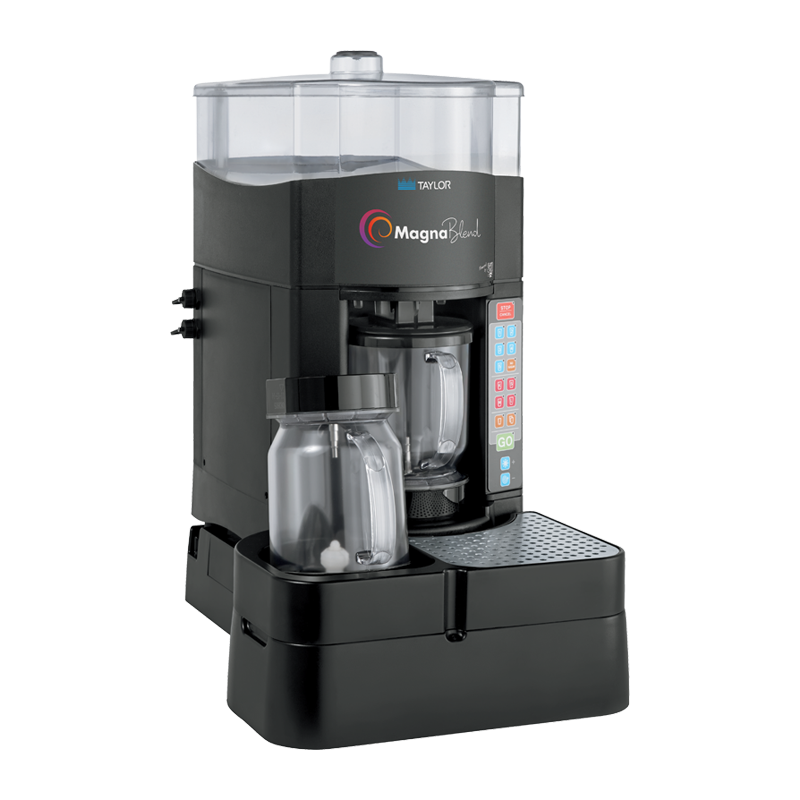 The MagnaBlend comes with two blending pitchers to maximize output. The international version (50/60Hz) of the blending pitcher comes with a top hand guard. Instead of relying on direct-contact gear mechanisms that can wear down, MagnaBlend eliminates friction by utilizing magnetic force. A sealed design locks out damaging moisture. Connect to a laptop to use the recipe software to create signature drinks. Easily share recipes with your entire franchise network. Two dedicated electrical connections are required. See the electrical chart for the proper electrical requirements. Blender must be positioned within 5 feet(1.5m) of electrical outlets. International rinse station power supply includes replaceable multiple country plugs. 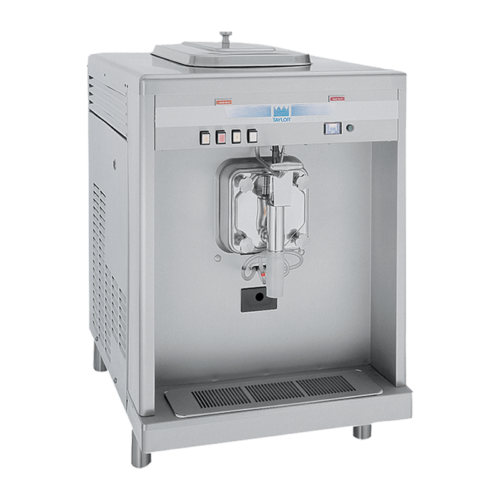 No additional clearance is required on either side of the unit for air inlet or discharge. 4 inches (100 mm) of clearance is required behind the unit to allow for proper routing of the drainage hardware. 12 inches (304 mm) of air clearance is required above the unit to allow for proper loading of ice into the ice hopper. 3/8 inch hot or cold water supply line for rinse station. Minimum 55 PSI required with a maximum of 100 PSI. Temperature-Maximum 125°F (52°C). For best results, filtered water is required. A drain is required. The drain must be able to accommodate a 1-1/8 inch (29 mm) diameter drain tube. A minimum of 1 inch(25 mm) air gap is required between the end of the drain tube and the drain to ensure proper flow. IMPORTANT: Install blender on a level surface within 10 feet(3.05 m) of drain. 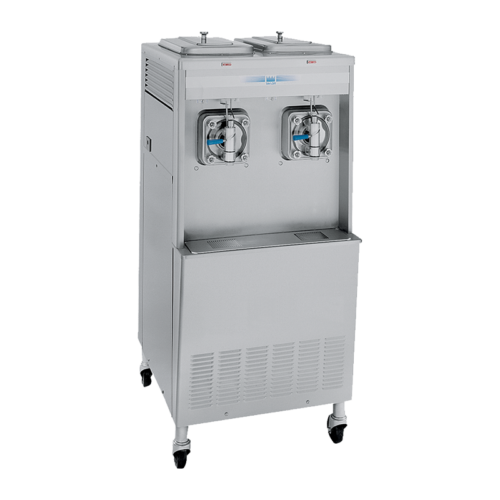 Commercial drop ice allows for maximum performance and drink consistency.